- 6V/4AH RECHARGEABLE SEALED LEAD-ACID BATTERY. 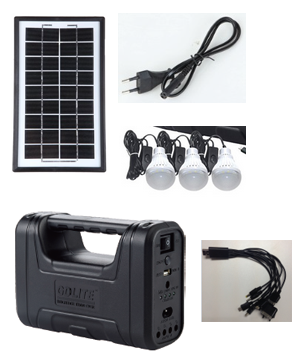 - BUILT IN 6V/4AH SEALED LEAD-ACID BATTERY. - 3PCS 6V DC BULBS. - BUILT IN COB LED ON THE SIDE. - ONE AC CHARGE WIRE. - BUILT WITH FM RADIO AND MP3 PLAYER. 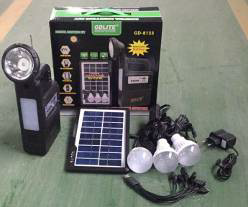 - WIDE VOLTAGE RANGE 110-240V, 50/60HZ. 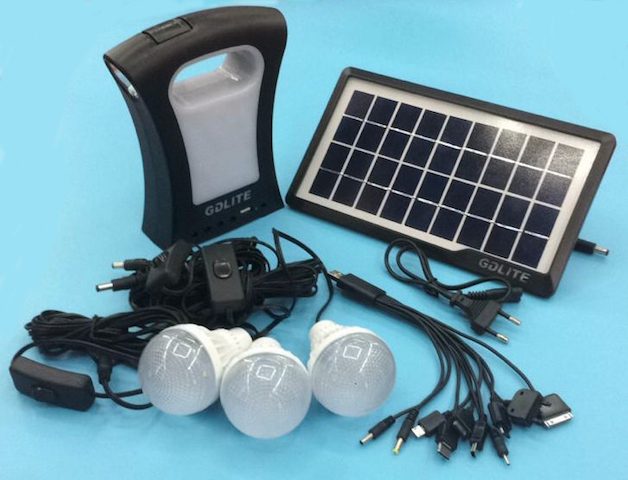 - CHARGING TIME 13-15 HOURS. 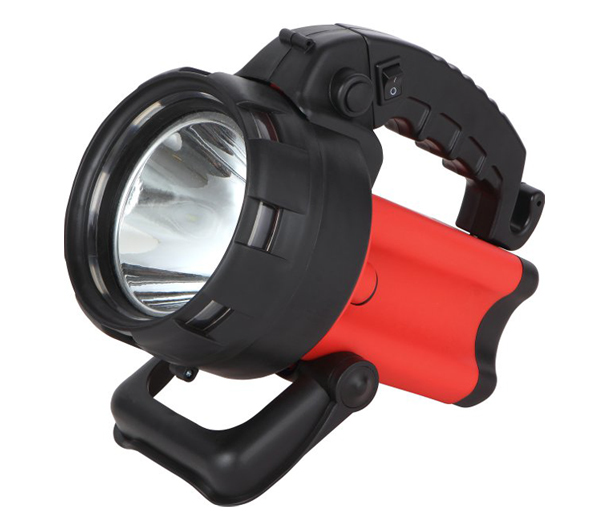 - BUILT IN SUPER BRIGHT COM LAMP ON SIDE. - FINISH WITH GREAT LOOKING ALUMINIUM DESIGN. 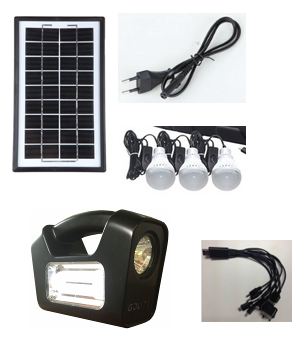 - BUILT IN 6V 4AH SEALED LEAD-ACID BATTERY. - BUILT IN COB LED ONE THE SIDE. - BUILT WITH SPOT LIGHT. 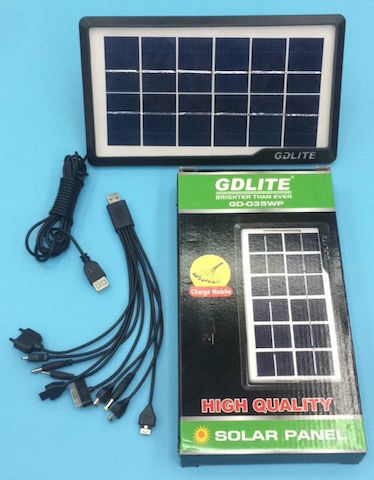 - BUILT IN 6V 4.5AH SEALED LEAD-ACID BATTERY. 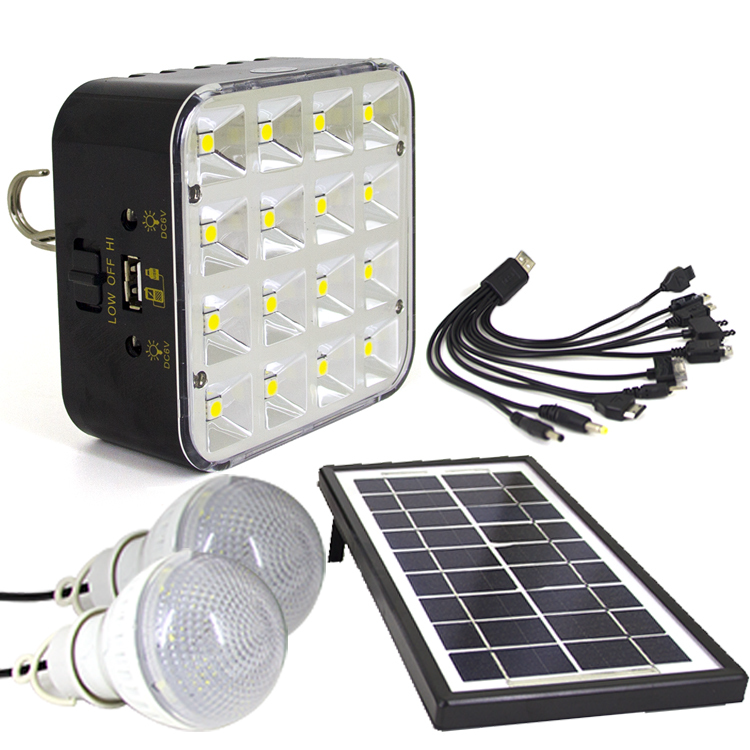 - BUILT IN LED LAMP ON SIDE. - BUILT IN TORCH ON THE SIDE. - BUILT IN ONE AC CHARGE WIRE. 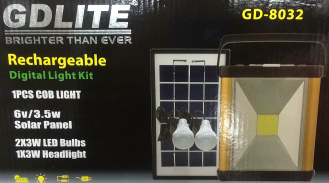 The GD Lite solar products range. 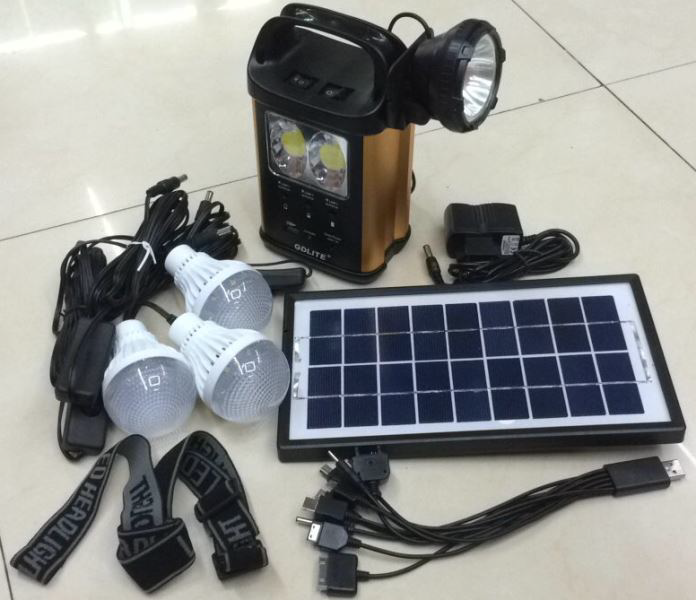 Can be powered by either solar panel provided or by Ac power connector provided. 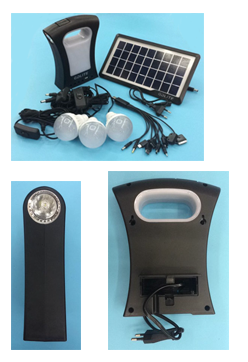 The GD lighting system are manufacture to the highest international standard. 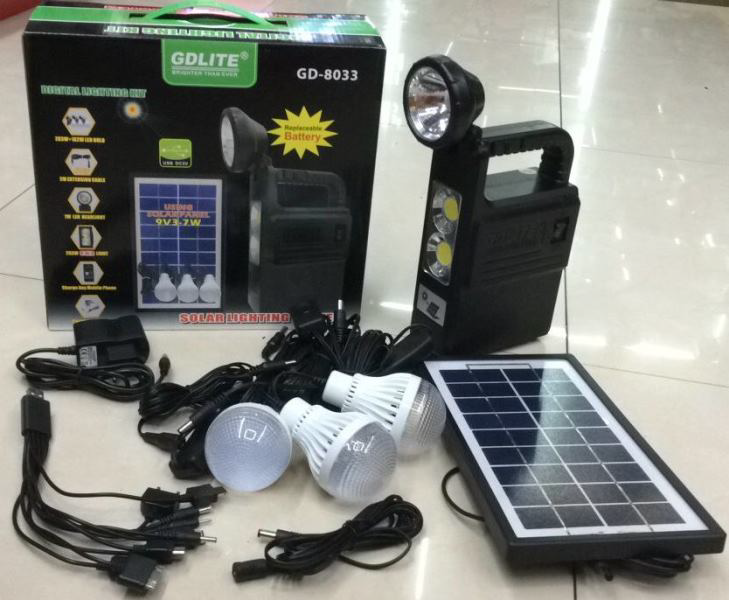 We currently stock the GD-8039; GD-8050; GDLITE-77 ; GD-2621 ; GD-8052 ; GD-8131 ; GD-8033 ; GD-8032; 045WP ; GD-8039 ; GD-8020 ; GD 8133 ; GD LITE3 ; GD-8017A. Our most commonly sold unit is the GD-8017A. 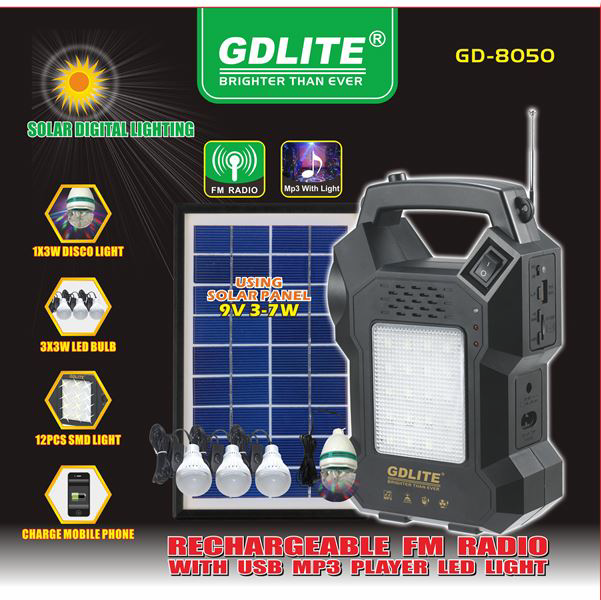 Please contact us for whole sale price on the GD Lite whole sale pricing. 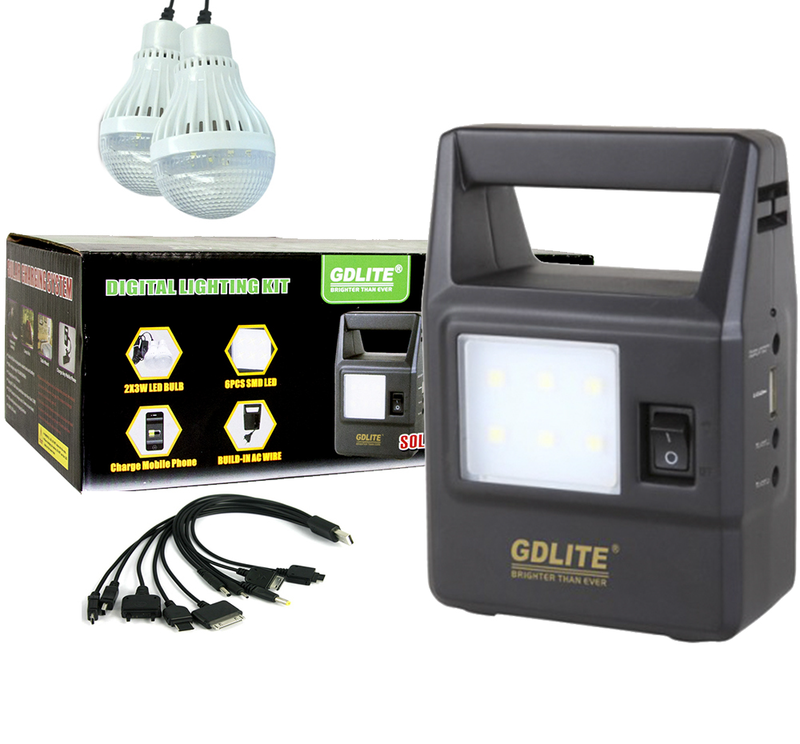 We Currently supply GD lite to Zimbabwe ; Mozambique ; Botswana ; Malawi ; Nigeria ; Kenya ; Namibia and South Africa. Our offices are in Edenvale Johannesburg Gauteng South Africa.